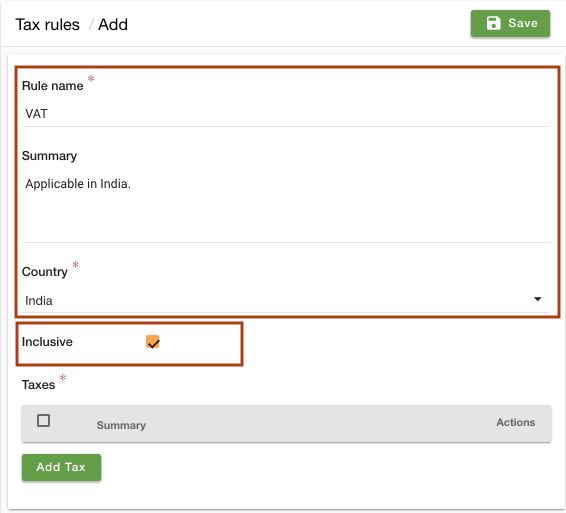 How to show inclusive taxes on products of a store? You want to apply taxes along with product prices at your store. Also, you want to show how much tax is included in the price of the product to your customers. StoreHippo allows you to set up a number of taxes for a specific country, state, and seller, etc. 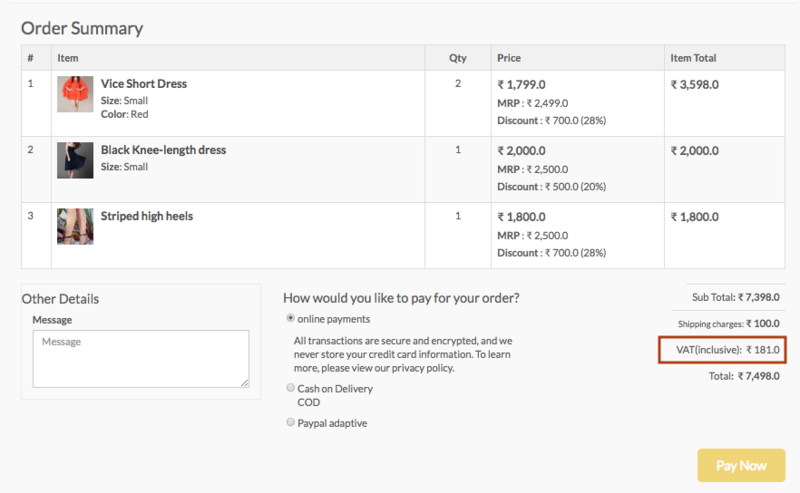 You can also make taxes inclusive on the products of your store. Including taxes along with the product, prices make it easier to manage taxes on various products. The customers also find it simpler to understand when the tax is inclusive. 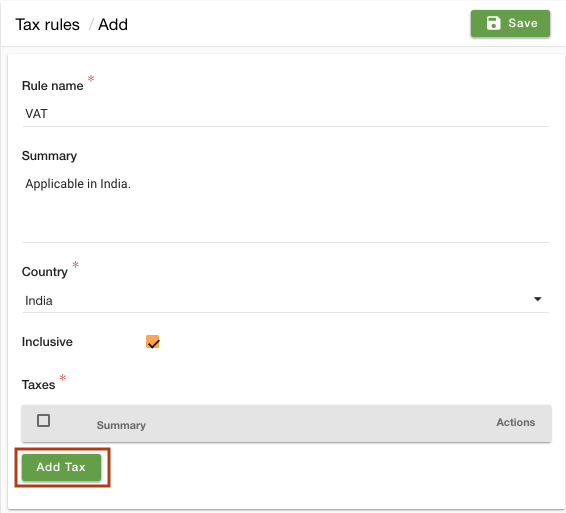 Go to Settings > Tax rules section in StoreHippo Admin Panel. Click on Add New to add a new tax. 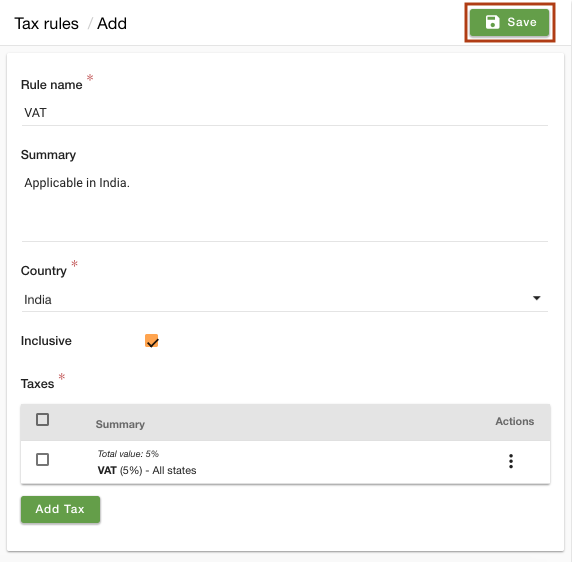 Provide the Rule name as "VAT". Enter the summary of the tax if you wish. Choose the Country as "India". Keep the Inclusive field checked to make the taxable amounts inclusive of this tax. Click on the Add Tax to define the taxes. Enter the Name as "VAT" and Value as "5" of the tax. You can choose all states or any specific state for which you want to apply the tax. You can apply the condition group taxes if you wish. Click on Insert tax button. Click on the Save button to add the tax. 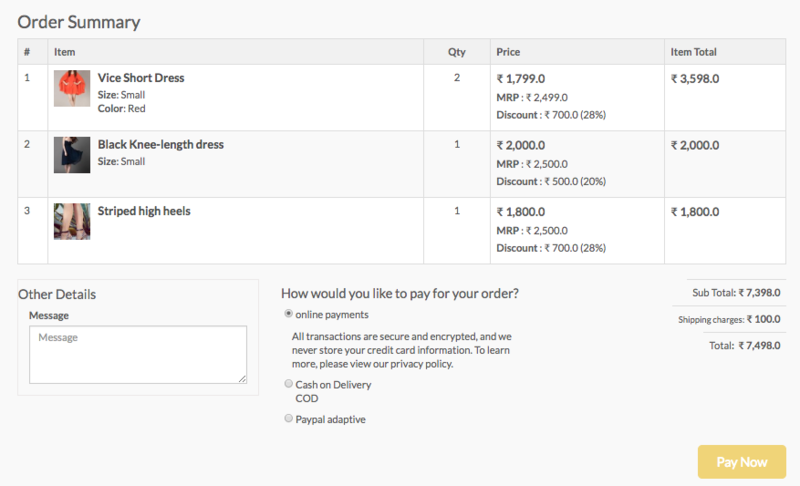 Now click on the ellipsis button and choose Make default option from the drop-down to apply the tax by default on all the products of the store. 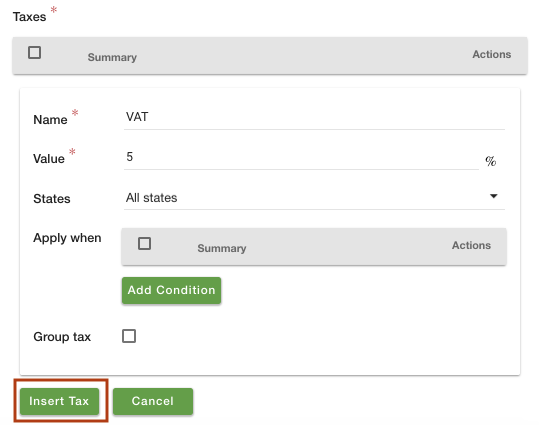 Now, to show how much tax is included in the price of the products, go to Settings > Miscellaneous Settings section in the StoreHippo Admin Panel. Select the Show Inclusive Taxes field checkbox.